At Highland Cats Country Retreat our aim is to provide you with complete reassurance that whilst you are away from home your cats will be enjoying a truly relaxing holiday here, with us. Safe and well cared for. We are a small dedicated team, all cat owners ourselves (past and present) providing a level of care that we would want for our own cats -as well as complying with (and exceeding) industry best practice. From providing the high quality food, litter and bedding, in large bright suites, to making sure the cats enjoy plenty of interaction (if they want it) with our Purrdates or extra Enrich & Enjoy sessions, we do everything in our power to make sure their stay is the best possible.. We respect each cat as an individual. We have three different types of accommodation – suite, king suite and top pad – so please always book as early as possible, especially in school holidays, to reserve the size you want. We provide written confirmation of your booking ( to ensure that all details are double checked in advance) as well as wee reminders 4 weeks and then 5 days before arrival and then again the day before departure. We always welcome feedback (and appreciate your reviews) and if you can’t find an answer to a question on our website then please don’t hesitate to contact us. Are you looking for that exclusive, quiet, upmarket holiday destination in the country, with the space and comfort to unwind in true comfort? And with lots to see and do ? Then welcome to Highland Cats. We have 21 very individual suites , of three sizes, spread across 5 different cosy buildings surrounding our house. Each suite is spacious and light, with lots of hidey/ sleeping/ sitting areas as well as places to climb and scratch and a view of the birds in the garden from the window. All are furnished with a choice of beds and lots of comfy, freshly laundered bedding/ rugs. Each also has a mini bar, different types of toys, a massage brush and of course, an en-suite giant tray with luxury quality clumping litter- scooped 4 times a day! Our friendly team who will take care of your every need and give you lots of attention. This includes your daily Purr Date ( 2 a day from week 2) as part of our 8 visits a day. They will also serve you breakfast and dinner of our quality food (though please bring your own if you are on a special diet or want to stick to what you know) and treats at other times including a fresh treat at bed time :-). And don’t forget to book the Enrich & Enjoy Sessions if you fancy even more fun time. For 2019 -20 we are introducing lunchtime out of hours appointment (between 12.30 – 1.15pm) at a reduced price. As with all out of hours appointments this option must be booked in advance for a specific time within the timeframe above and the appointment will only be available for 10 minutes either side of the specified time. As a peaceful cattery where our guests can relax and unwind we do limit our arrivals and departures to certain times of the day. This structure also ensures that we can spend quality time looking after our guests . Obviously there are times whether due to change in plans or light or heavy traffic arrivals and departures may be early or running late. In both circumstances please don’t hesitate to phone ahead. We always ask though, that if you arrive outside of our normal reception time, that you plan just to wait in the car with your cat until we come and find you. And we will do so, as soon as we are able. It is hard for our family if they find customers standing outside the house, waiting, outside of normal hours. If plans are made for an Out of Hours appointment please remember that the appointment allows for 10 minutes leeway either side. And again, outside of these times, please wait in the car. We are delighted to have the opportunity to have volunteer cat cuddlers. Currently Mary is with us 4 days a week for an hour or two in the morning and we also have the opportunity for someone else (perhaps retired and young at heart :-)) to join our team after Emma sadly left us due to health problems. This was a fab idea we borrowed from a cattery down in England as we thought it a great addition to the many services we already offer at Highland Cats. And we know there are people who love cats but either can’t have one of their own at the moment or would love to be involved with cats other than their own. The cats and our cat cuddlers both benefit. Our cat cuddlers though are very much part of our team and are in uniform and work very carefully within our strict processes and methodologies. But they have the time to relax and enjoy our guests and for our guests to relax and enjoy even more playtime or cuddles with them than we could possibly fit in to an already full day. We are always delighted to hear from people with a wee bit of time interested in this kind of opportunity – but they must be able to drive…..and must be happy fitting in to our team at any time of the year. We are a small team that work very closely together to provide the best holiday experience possible to our feline guests and their humans. Gill – owns and runs the cattery. She is the voice at the end of the phone and makes sure all your booking details are taken care of, ahead of arrival as well as working in the cattery herself. Diane – works every morning except Sunday . As well as a wealth of tasks looking after our guests, and reception duties, Di is responsible for our thorough cleaning regime. Helen – works Wednesday, Friday and Sunday afternoons as well as Saturday lunchtime. We have a board up in reception where you can see which of us is on duty when you arrive. We have updated our cancellation policy to make it as easy as possible to understand what action will be taken if you have to, unfortunately, cancel or cut short your holiday plans once a booking has been confirmed. Cancellation policies are not very exciting subjects but our policy has been drawn up to take in to balance a number of factors to make it fair to those cancelling as well as to those who may still be looking for space at the last minute. The good news is that there is no penalty for cancelling a booking 6 days or more ahead of boarding commencing. However if the cancellation is 5 days or less in advance then a cancellation charge is applied. This is worked out as 3 days of your booking cost. The balance of what has been paid in advance, once the cancellation charge is applied will be returned, normally by cheque. If cancellation is 24 hours or less in advance we only charge 5 days (or the full cost if the booking if it is for less than 5 days). No refund is issued, the balance is carried forward as a credit to the next booking. Amendments can be made at any time to a booking but, if substantial, will be treated in the same way as if it were a cancellation. Amendments that give rise to extra costs are always liable. Highland Cats closes once a year to allow our hard working team to relax and take their own holidays. After 11 months of working up to a 7 day week it is the least we can do. Obviously we apologise for any inconvenience caused. But based on our experience we know this is the time that causes our guests the least inconvenience. just taking on board all the fuss and attention a human is able to give. Or…. a bit of everything. Designed to complement our existing Purrdates (which are included in the boarding rate) these sessions are an added extra. They can be 15 minutes long or we may split them in to two 7.5 minute sessions to spin out the fun. For longer stay guests the time is added to their normal purrdate. If for any reason your cat isn’t interested in joining in then we don’t charge for that session. Food is so important when you are staying at an all inclusive holiday venue. And so we like to offer our guests quality food – and a change of menu – at breakfast and dinner time. Breakfast is then a choice of either/ or both Sheba foil trays or pouches and Purina Proplan kibble. Dinner is a choice of either/ or both of a high end Felix pouch (Doubly Delicious) and Science Plan kibble. We obviously monitor likes and dislikes and will adapt the menus based accordingly, but we are more than happy to serve our guests their own food. Some cats are more creatures of habit than others and a change of food may not be to their liking. And some may be on special diets. Our choice of food is always high quality and for this reason we never choose to feed coloured kibbles nor offer an open ended menu as that can lead to food being stored too long. Not all cats like to travel on a full tummy so as well as water we always ensure they have a bowl of food available on arrival so that they can skip their breakfast or dinner before travel. Likewise we prefer to err on the side of not feeding our guests immediately before departure in the afternoon. We provide a lot of toys for our guests either as part of the furnishings or adding them in and swapping them around (after careful cleaning) as needed. Our aim is to provide constant stimulation/ enrichment. And as we know cats attention spans with some toys can be quite short. That said we are always happy for our guests to bring toys from home but they must be toys that you are happy to leave your cat with unsupervised and that should exclude toys with strings and feathers. We also prefer to know when one of our guests has a dislike or a need to avoid a particular type of toy. Payment is preferred by bank transfer. Cash is the alternative and is particularly useful for late bookings and or payment of extras such as Enrich & Enjoy Sessions. Regretfully we no longer routinely accept cheques as we are unable to access our bank easily in order to process the small numbers involved, effectively. If you have any concerns about paying by Bank Transfer or Cash then please feel free to contact us to discuss alternative options. All our guests enjoy our comings and goings, which is just as well as we are in seeing them at least 8 times a day – three times across the course of the morning, twice at lunchtime, twice in the afternoon and once in the evening. And in the middle of all this active whirl there is always plenty of time for our guests to spend their own time just quietly snoozing or watching the natural world go by, from their window. At Highland Cats we are always delighted to welcome cats for any length of stay. However there are a few important aspects of short stay bookings that we would like to share. Clearly the most stressful part of any cattery visit is the arrival and departure – the journey is not any different in the cat’s mind to being bundled in to the box to head off to the vets. Which obviously may not have very happy associations, no matter how nice the vet is. So, we always encourage our guests to give themselves the time, if they can, to unwind and relax in to their comfy surroundings before the journey home and or onward destination is contemplated. Based on experience (and reports from other catteries) a minimum stay should normally be at least 3 days, 2 nights, if at all possible. This minimum stay recommendation relates even more pertinently to cats making their first visit to a cattery. In order to let the cat settle and know that the cattery is a relaxing place and the people they are meeting can be trusted, we always strongly advise new customers against putting their cat in for a very short period of a day or two “to try it out” or “see how they get on”. No cattery could really give honest feedback on how a cat is doing based on only a night. Personally we don’t think it is fair to the cat to put them through the stress of travel for one night for a stay in a strange place, if it can be avoided. Obviously there may be time when there is no choice but a wee stay in a cattery is a good part of learning for a young cat so that emergencies don’t result in extra stress for cat.. or human. Our minimum charge reflects this thinking. The cost is equivalent to 3 full days in the suite of choice (5 in the peak school holidays) but there is no restriction on the cat staying the whole of this time if circumstances dictate otherwise. However there is another reason for this minimum charge. As a business that takes great pride in the quality of the people we employ, the amount of bedding and toys we provide, the quality of litter and size of the tray provided and the amount of time we spend with our guests and the depth of our cleaning regime between guests, our minimum charge must necessarily reflect the economies of keeping the cattery viable. To ensure personal attention and the latest information please do call/ text/ e-mail us to check on availability and choices for your next holiday dates. In line with other small businesses we ensure that we are looking after our data records correctly. This is our current operational policy. We keep the very least information possible, in order to comply with our duty under the Animal Welfare Act and to continue to offer a seamless service to returning customers. However we never initiate contact with our customers between boarding periods nor pass information on to any third party. The information is only accessed in whole by the owner of the cattery. 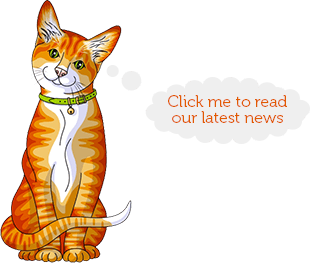 We only store name, address, telephone and email as well as any immediate details we need to keep in order to provide continuity of care for a cat in our keeping. We return information details we don’t need to retain to customers at the end of a boarding period. We completely delete information from our database 3 years after the last contact with a customer, although we are happy to delete this sooner if requested to do so. Any photo of a cat used on our website or Facebook page will not be in residence with us at the time a name is added, and at no time will a surname be displayed. Owners will be notified that pictures have been used. Bedtime has just got even better at Highland Cats as lights out now signals the arrival of a tasty “fresh morsel”. And the surprise is that our guests never know whether it is going to be a bit of poached chicken, fresh ham, tinned tuna, fresh fish or some Lick-e-Lix. Litter – our choice is a biodegradable maize litter which because of its superior clumping ability means we have a lot less waste to dispose of. Day to day cleaning – we do not use paper towels or wipes. We use single use microfibre cloths (washed at 60 degrees) and an industry standard disinfectant spray. Deep cleaning – we choose to steam clean. Washing – we use an EcoEgg day to day with an animal friendly hardworking detergent when there is a need. In addition to our commitment to providing the best quality litter (“Worlds Best” biodegradable clumping litter), and the largest of litter trays (doubled up for extra stability when needed), we also scoop and remove any little offerings FOUR times a day. We believe it can’t really get much better than that for keeping our guests (and their neighbours) ultra comfortable when it comes to holiday en-suite facilities. As part of our 8 visits a day to our guests we offer our PURRDATES…. our version of “speed dating” for cats, one to one, in their suites. These sessions are 3 minutes long (this may not sound a lot but it is a good amount of time when our attention is completely focussed on your cat) chatting to them, stroking, gently playing and generally fitting in with their mood. Most cats love it and those that aren’t interested in our company seem to put up with us sitting at a distance chatting to them and building their confidence in us. The first PURRDATE begins on Day 2 of the holiday and takes place mid-morning, after we have finished all the tasks for the morning and everyone is fed and suites cleaned. In week 2 of a stay a further PURRDATE is added in at lunchtime for those that like and enjoy the attention. .
All PURRDATES are included in our boarding rate. If a guest has an Activity Club booked the times are amalgamated to give a longer time one to one. We have had a mouse invasion (of the laser variety) at Highland Cats. Please remember that cats using catteries must have current annual vaccinations. And if vaccinations are going to expire before the end of a stay they should be updated at least 2 weeks before arrival. Sadly this morning we got to 5 days before her holiday before one of our new customers discovered her cat’s vaccinations were out of date and she was having to start the programme again. And that means 3 weeks before the cat is wholly vaccinated. It was really hard having to apologise that we were unable to take her cat. It is part of our license conditions that cats are vaccinated. The cattery has the best of both worlds in terms of location. 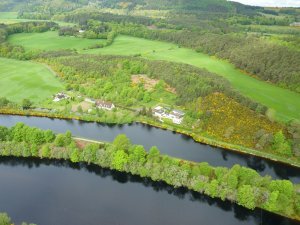 We are in lovely countryside, on the edge of the Caledonian canal on the western outskirts of Inverness. And yet we are actually less than 3 miles from the very centre of Inverness. However using a SatNav to find us comes with problems as our postcode covers a large area and you will normally find yourself in the right area but on the wrong side of the A82. Our turning is left off the A82 coming from Inverness followed by a gentle descent down the road, passing the hotel and keeping left down to the turning circle. We have a sign up in our reception that says “if you like what we do then please take time to review” and we are always very grateful to our customers who do this for us. Like all small businesses we are hugely dependent on reviews as they can help people make decisions about what organisations they want to choose to provide the service they are looking for. This is even more true for those making choices about a cattery (and kennels) where personal recommendation counts for a lot. In the past we have pointed people in the direction of reviewing us on Facebook but we are also dependent on reviews on Google. This was brought home to us recently when someone we don’t know and hadn’t used the cattery put up a 3 star review, with no comment. I am not sure if they realised what damage they could do to a small business by this simple act. So please, do take the time to leave us a review – either on Facebook or Google (this is easily accessed by locating us on Google maps) – but please also take the time to give just a couple of lines of feedback. We appreciate that and so do prospective future customers. Comfortable bedding is a must. And then there all these shelves and chairs to lounge on. So with that in mind we provide a wide range of bedding (there are at least two types of bed in each suite) and shelf rugs (for the different shelves and chair provided). 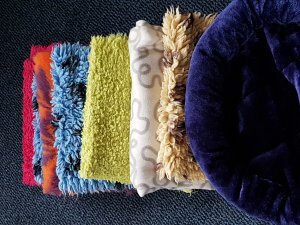 Just how much we provide can be illustrated in the photo of a pile of folded rugs and blankets just picked fresh this morning from our linen cupboard and on their way to make up one of our Suites ready for the arrival of a single guest tomorrow. Obviously we provide even more for two cats sharing. And guests are always welcome to bring their own bed to add in or substitute if they prefer. Our reception hours haven’t been set, by chance. We have analysed the times of arrivals and departures over the past few years and set them to coincide with the most popular times that people requested. We were keen to find times that suit both our human customers as well as our feline guests and we also need to ensure that there is always someone trained in our reception process and familiar with your cat (if they are departing) available to welcome you and show you and your cat to their accommodation. 7 days a week between 9 – 10am. The mornings are certainly the most popular times, and rightly so. The mornings ensure it is far easier to plan for the cat not doing a vanishing act, forgetting to return home or making you feel like a complete killjoy for keeping them locked in all day pending arrival at the cattery. 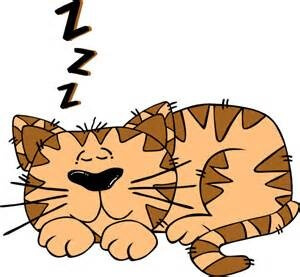 We are also keen to encourage new customers to book in in the morning so that their cat gets to know us during the day before “lights out” in the evening . On a Tuesday and Wednesday we assume a pick up and drop off time of 4.30pm unless you need a wee bit later and then we agree an appointment time to suit you, as we find these are the quietest days. We are not open on a Saturday afternoon as at the end of the day we need to find time for our own lives as well. A change of pace for the cattery owner and team :-). However sometimes plans don’t go as intended or journeys mean our reception times may not work; so for those times we also offer Out of Hours appointments, but only by prior agreement. There is a charge for this facility as we treat appointments with the same care and attention as our normal reception times. We ask our customers to respect our hours and not to turn up unannounced. You would put us in a very awkward position. It has to be said though that our reception hours are not the same as our working hours, by any means, and you will find we are often at the end of a phone, email or text 14 hours a day – ready and willing to help you plan for those all important feline holiday times! How much time does a cat sleep? Cats can sleep as much as 16 hours a day, and older cats spend even more time at rest — as much as 20 hours a day. That sleeping habit is a result of the cat’s evolution, nutritional habits, and physiology. In the wild, cats have to hunt in order to eat, and the stalking, chasing, and killing of prey burns a lot of energy. Sleeping helps cats conserve energy between meals. Our large SUITES are perfect either for a single guest. The KING SUITES are at least 50% bigger and accommodate up to 3 cats (from one family) sharing, with ease. But why be restricted? Just ask us about availability and options for upgrading from a a Suite to a King Suite to the Top Pad and look forward to getting those legs stretched.. even further… Or, then again , perhaps the enjoyment is in finding even more spaces to have a snooze.